The dramatic fall from grace of Burmas human rights icon Aung San Suu Kyi shocked the world. Michał Lubinas magisterial account of Aung San Suu Kyis political education demystifies the behavior in power of this otherwise enigmatic leader. This is the indispensable book for anyone who wants to understand the mind of one of the worlds most controversial women. Dr. Michał Lubina, known in Poland for portraying Aung San Suu Kyi not as a human rights activist, but as a realist politician in the very footsteps of her father, now comes out with his research to the international audience. Following the example of Mahbubani s Can Asian Think? Lubina shows the intellectual and philosophical tradition of Myanmar through the case study of Suu Kyi s political thought. It s a unique undertaking that presents Suu Kyi from an unexpected angle: as a theoretician and political thinker or sage. Both the scope of research done and the material presented are very impressive and rather unique, even on international scene. This book is a well-documented and well-constructed, multilayered, complex, analytical work based on very rich research, interviews with Suu Kyi and personal observations of the Author, who displays unquestioned analytical skills. As such the book represents a pioneer work in Burmese studies. 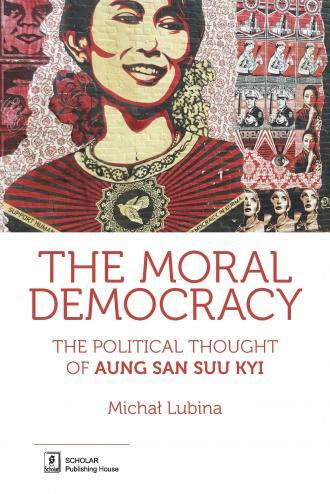 None of the numerous books and articles that I have read about Daw Aung San Suu Kyi dissects her political thoughts and background as thoroughly as the book written by Dr. Michał Lubina. He shows the political construction of her character, her struggle, her idealism, her sources of inspiration and her weaknesses. It is a necessary publication to read in order to understand historical and contemporary policymaking in today s Burma.